The slogan of the journey is "The Rhino Ride". 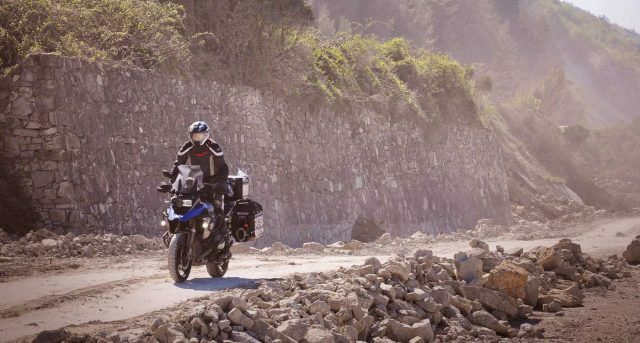 BMW GS riders driving in aid of a rhinoceros protection project. For at least 10 years Gerald Pfitzmann (a former employee with BMW Motorrad) has been dreaming of a real motorcycle trip! Now he is retired he can finally fulfil his dreams so Gerald prepared his itinerary: 30,000km across 20 countries over 3 and a half months with an average mileage of 270km per day. 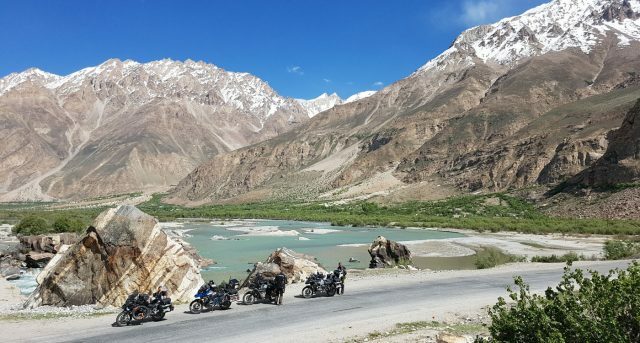 On the itinerary are destinations such as Dasht-e Lut, the hottest desert in Iran, Khardung La in Northern India which is officially the highest pass in the world with an altitude of 5600m, the Karakoram Highway in Northern Pakistan, the Pamir Highway in Tajikistan and off-road tracks in Mongolia….everything needed to inspire a motorcyclist’s heart. The slogan of the journey is “The Rhino Ride”. 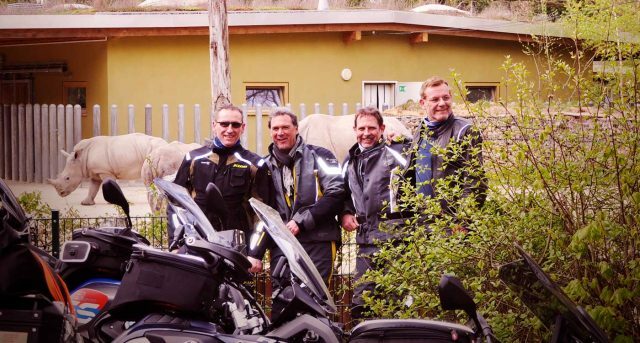 BMW GS riders driving in aid of a rhinoceros protection project which aims to rescue rhinos. The project was founded in 2014 by South African GS riders Andre Barnard and Gavin Green. Gerald has been a member of this project since 2016 and the journey was documented on the Rhino Ride Facebook page. Preparation for the journey took six months. 7 Visas were required. An invitation letter from Pakistan, reference numbers from Iran. A second passport. 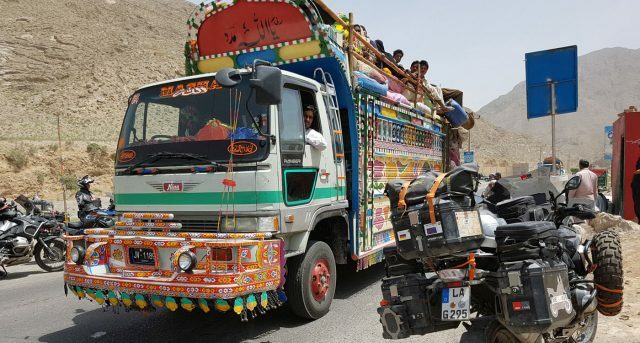 Carnet de Passage for Iran, Pakistan and India. A green insurance card. An international driver’s license. Long-term health insurance was needed as foreign health insurance usually only applies for 6 weeks. And of course a suitable motorcycle… a BMW R1200GS. Equipment for the four GS motorcycles was supplied by GIVI, the world-renowned Italian supplier of motorcycle accessories. Over time, Gerald was able to find three other intrepid riders who also wanted to experience this extremely strenuous, mammoth adventure.